Only 5 SH-AWD with Technology Package models left in stock! *Prices shown do not include taxes or license. Prices shown include destination & handling charge. Destination charge for ILX, TLX and RLX is $995.00, NSX is $1800.00 and MDX and RDX is $995.00. Actual vehicles/accessory costs, labor and installation vary. Please consult your selected dealer. While great effort is made to ensure the accuracy of the information on this site, errors do occur so please verify information with a customer service rep. This is easily done by calling us at (347) 554-6056 or by visiting us at the dealership. 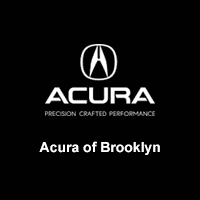 Why buy from Acura of Brooklyn? Purchasing a vehicle is an important decision, and at Acura of Brooklyn you never have to worry about financing your next new, used, or Certified Pre-Owned Acura. Whether you’re planning to buy or lease, you can rest assured knowing that Acura of Brooklyn’s expert finance team will work diligently to get you the best hassle-free rates and terms. Acura of Brooklyn	40.617577, -73.9448453.